Asphalt shingles have a lot to offer. This type of roof is affordable, durable, and easily customized with dozens of styles and colors. Asphalt roofs account for the greatest share of residential roofs in the United States because, along with their fairly low cost, they fit well with most types of homes. While an asphalt shingle roof will not offer the same durability and long life as a metal or tile roof, it can still offer good protection against the elements without breaking your budget. Asphalt roof shingles are a popular roofing system because they are flexible, attractive, and affordable to install. If your existing roof has reached the end of its life, asphalt shingles can be a wise investment. The two most common types of asphalt shingles are 3-tab and architectural. For an average-sized 3-tab asphalt roof, you can expect to pay between $6,700 and $9,000. Architectural shingles are more expensive and may add 20% to 40% to the cost. 3-tab shingles have just one flat layer and come in a single shape with cutouts or tabs along the edge. Architectural or dimensional shingles are thicker and heavier with an additional laminated asphalt layer. This style comes in a variety of shapes and sizes to create a more dimensional appearance. While architectural shingles cost more, they also last longer. It’s usually worth the cost to upgrade to architectural shingles because they are twice as thick, less vulnerable to curling, and can resemble premium materials like slate or cedar while hiding roof imperfections. 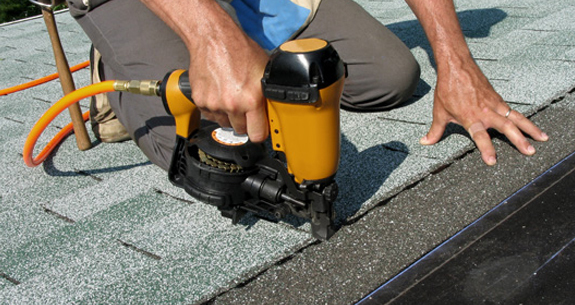 Asphalt shingles can also be made in two ways: using fiberglass or organic material. Organic asphalt shingles are made with waste paper saturated with asphalt to make it waterproof. An adhesive is added before the shingle is coated in granules. A fiberglass shingle contains less asphalt than organic as it’s made with a mat reinforced with fiberglass that’s bonded to resin and coated with asphalt and granules. When your roof has reached the end of its life, you may be faced with a decision: a tear-off and reroof — or complete roof replacement — or a roof overlay. If your existing roof has just one layer of shingles, it may be possible to add a new layer of asphalt roof shingles. An overlay can reduce the cost of asphalt shingles installation because a tear-off will not be required. There are downsides to choosing an overlay, however. The new layer of shingles will not last as long as a replacement roof and it can mask damage to the roof deck. If you suspect there is damage to your roof or leaks, it’s not a good idea to do a roof overlay. Adding a new layer also adds a substantial amount of weight to your roof. We usually recommend a tear-off and replacement rather than a roof overlay for greater reliability and a longer life without the risks. Asphalt roofs can last 20 years or longer. Every asphalt roof requires routine repairs and maintenance to keep it performing at its best. Don’t wait until your roof is leaking or missing shingles before you take action; preventative maintenance can catch problems while they are still minor to preserve the integrity of your roof and eliminate the need for more costly and unexpected repairs and damage. If your roof is experiencing issues like missing shingles, water problems, or curling, we will perform a thorough inspection to isolate the problem and determine if your roof can be repaired or if replacement is a better option. Most minor leaks and issues that only affect a small area of the roof can be repaired. Shingles can be damaged by many factors, including wind, sun damage, and hail. If the damage is isolated or only affects a handful of shingles, replacing them is an affordable solution to restore the roof and prevent damage. The flashing on your roof is also prone to damage. Flashing directs water away from openings in your roof, including around vents and chimneys. When flashing becomes damaged, warped, or corroded, it can give water an easy way into your home while damaging your roof deck. One of the most cost-effective and long-lasting solutions for an aging roof that’s still in good condition is an asphalt roof coating, which creates a barrier against granule loss, small leaks, and other issues. If your asphalt shingle roof is showing signs of age, a liquid-applied roof coating can be a cost-effective solution to extend the life of your roof. An acrylic elastomeric roof coating can be applied to your shingle roof to create a protective membrane that stops curling, cracking, granule loss, and minor leaks. Don’t let just any roofing company apply a fluid-applied roofing system to your asphalt roof, however. To protect your roof, the formulation must be carefully chosen to be compatible with the substrate for proper adhesion. Only a certified liquid-applied roofing technician should apply the roof coating to ensure good results. Before a roof coating is applied, your roof should be assessed. While a roof coating can dramatically extend the life of your roof, it can’t repair a shingle roof that is very damaged or worn out. For the best results, a roof coating should be applied to shingles in good condition without major granule loss or curling. Once your roof is cleaned, the asphalt roof coating will be applied with an airless sprayer to ensure even coverage. Do you have questions about installing or repairing asphalt roofing systems? Here are a few commonly asked questions we here from customers.  We are just a call away if you have any additional questions. How long does it take to install a new shingle roof? 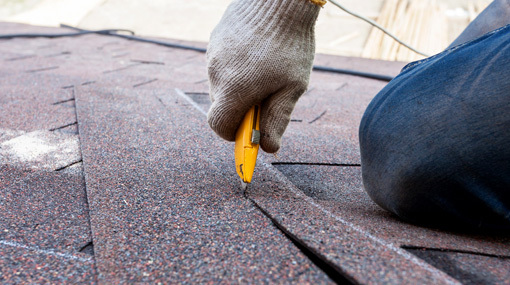 There are many factors that can affect asphalt shingles installation such as weather conditions, but the biggest factor is whether or not an existing layer of shingles must be removed first. A tear-off and replacement can take about three or four days without any complications. A large, complicated roofing project may take several weeks. If a new layer of shingles is added to an existing roof, the timeline will be shorter. There are many reasons to choose asphalt roof shingles when replacing your roof. Most homeowners opt for an asphalt roof because it’s one of the most cost-effective options that combines a long life with affordability. Shingles can also complement almost any style of home and come in a huge array of styles and colors. What are the benefits of having an asphalt shingle roof? There are two primary benefits to asphalt shingle roofs: easy installation and a lower upfront cost than other options. Asphalt shingles are the most affordable roofing solution with a moderate upfront cost and a roof that can last 15 years or longer. 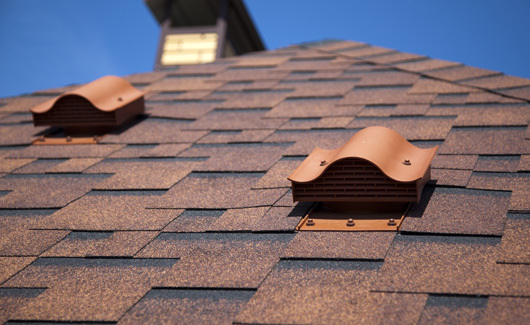 The easy installation of shingles also helps reduce their upfront cost, but it’s important to choose an experienced and licensed roofing professional for the best results. You may also appreciate that asphalt shingles come in a variety of colors and styles to match the architecture and color of your home. On average, asphalt roof shingles last for 12 to 17 years, but many factors can influence the lifespan of your roof. The quality of your shingles is one of the biggest factors. Three-tab shingles will not last nearly as long as architectural shingles. The quality of the installation will also play a major role. Even the weather conditions in your area will impact the lifespan of your roof. Asphalt shingles tend to deteriorate in just 12 to 14 years in very hot climates like Florida. In a northern climate with minimal sun exposure and a very sloped roof, it’s possible for a shingle roof to exceed 20 years. 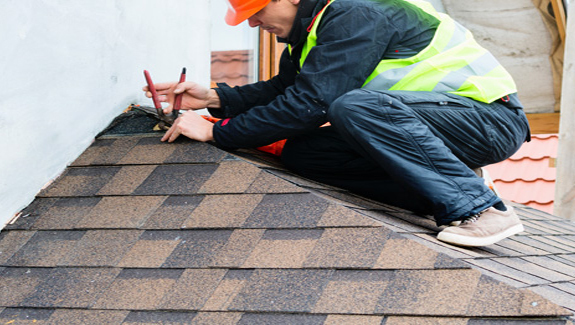 To extend the life of your roof, regular maintenance is important. This includes annual roof inspections and prompt repairs whenever damage is found. An asphalt roof coating can also extend the life of your roof by creating a protective barrier against the elements.